Originally designed as a way to allow extra light into people’s homes, the appeal of French doors is timeless. 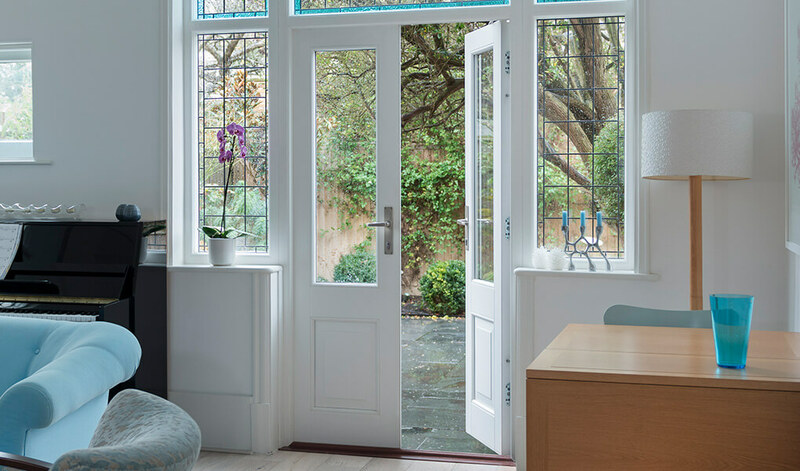 Seamlessly connecting your home and garden too, our timber French doors perform incredibly well and can be altered to suit individual desires. The timber in use is of the finest quality, ensuring for a set of doors that will last for years. 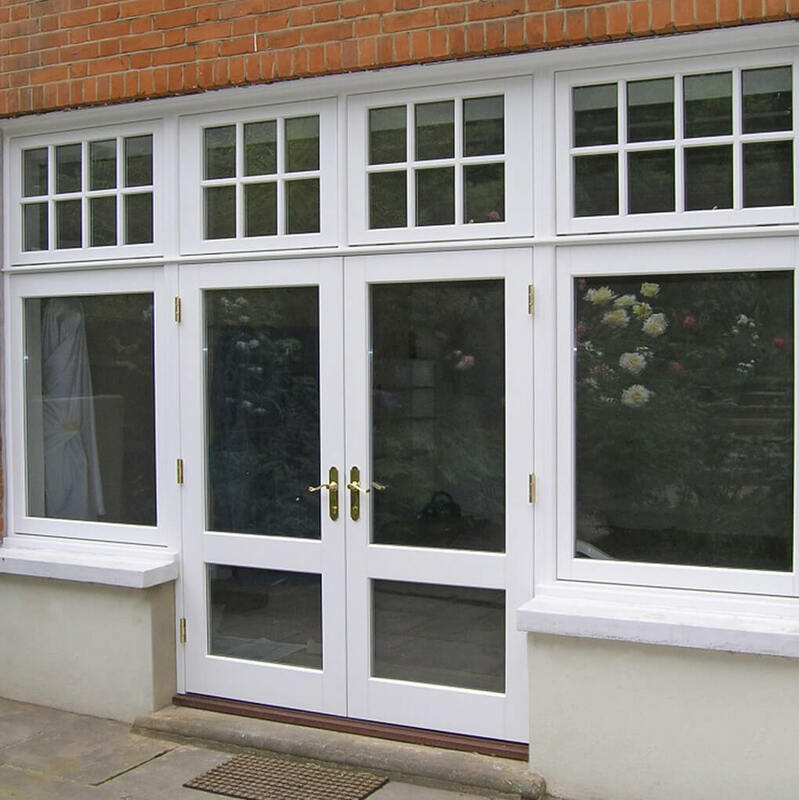 Able to seamlessly fit any contemporary designs, they also make the perfect replacement for traditional French doors. Opening up to leave a wide aperture, you can provide your home with vast amounts of ventilation in total style. Our timber French doors, supplied by George Barnsdale, utilise energy efficient glazing and frames, allowing them to perform very well in terms of thermal efficiency. This means they’ll save you considerable amounts on your energy bills. Available with a range of door styles and configurations, there is plenty of scope for you to create your ideal look. Any of our outward opening French doors are fitted with a concealed restrictor to prevent damage when open and being blown around by the wind. Our timber French doors can be fitted with security laminated glass, to ensure optimal levels of security are present. 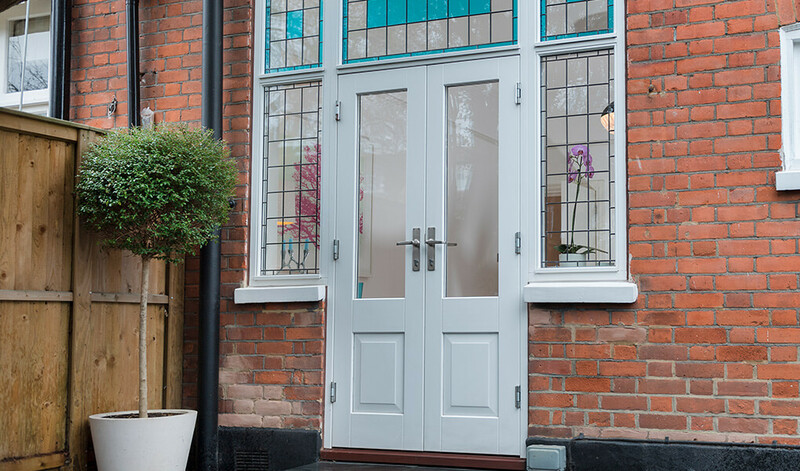 Utilising expert craftsmanship that has been continuously refined for over a century, the quality of wooden framing used on our timber French doors is truly astounding. However, T&K also provides French doors with uPVC framing. Customise the doors to your liking with a choice of handles, which are available in a range of beautiful finishes. The choice of finishes includes Gold, Pewter, Black and Chrome. Regardless of which you choose, the quality of finish is nothing short of exquisite.